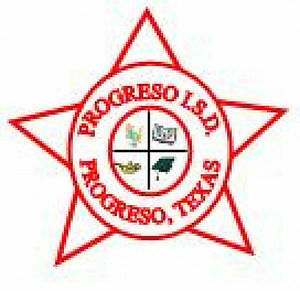 PROGRESO — The Texas Court of Appeals issued a ruling that once again puts the board of trustees and superintendent at the Progreso school district at risk of being replaced by a state-appointed board of managers and superintendent. The ruling sided with a 2015 decision by the Texas Education Agency’s former commissioner, Michael Williams, to dissolve the school district’s board of managers, replace its main leadership role and lower its accreditation to “accredited warned” due to concerns brought up by a nearly two-year investigation into the district’s administration. “The management team has ongoing concerns related to the board’s actions over the past year, the district’s finances, and the board of trustees’ inattention to the district’s finances,” Williams stated in a letter sent to district officials in 2015. The investigation began in November 2013, after reports of corruption and mismanagement of public funds that later led to the arrest of three district officials, including members of the Vela family — former board President Michael R. Vela; his brother, Omar Vela, former head of truancy; and their father, Jose Guadalupe Vela, former maintenance and transportation director, who pleaded guilty to conspiracy and bribery charges last year. TEA assigned two conservators as a management team to the district in January 2014. They were tasked with overseeing the district’s practices and, according to Williams’ letter, the team found instances of mismanagement of funds, poor board meeting attendance and questionable hiring decisions. The commissioner’s final decision was halted in December 2016 by Travis County District Judge Gisela Triana’s ruling granting an injunction to the school district based on allegations that the commissioner’s decision only applied to former board and leadership actions. The ruling has allowed an elected board of trustees and superintendent to continue leading the district. But TEA appealed the district judge’s decision based on jurisdiction, arguing that the district court cannot overrule the state agency’s decision. Kevin O’Hanlon, school district attorney, explained that if the appellate court decision stands, the board and school district leadership will be replaced. But the board might be inclined to continue to fight this decision, which they have yet to discuss and vote on during a board meeting. The difference between the appellate court’s decision and that of the trial court, he said, is that one was based on merits and evidence, while the other was based on rules and regulations.